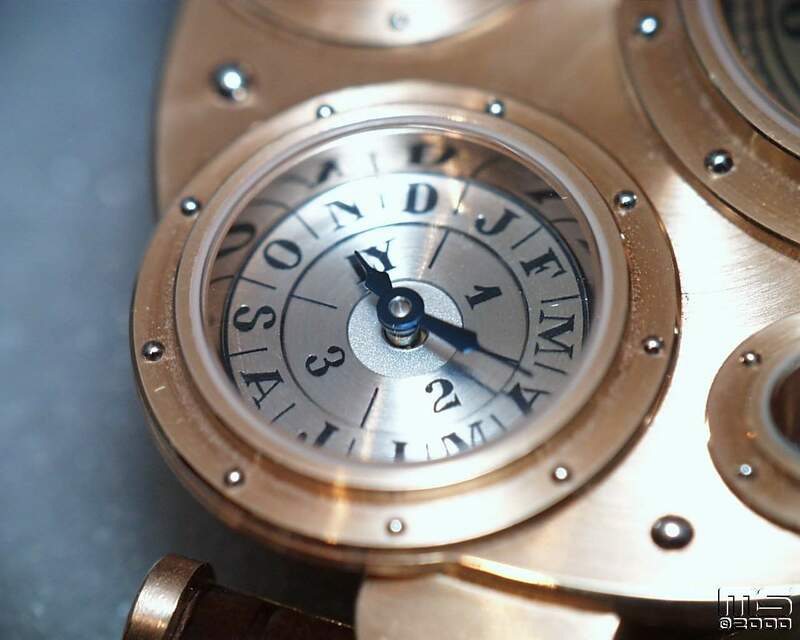 Recently, I had the opportunity to handle and photograph Perpetual Antiqua No. 15. 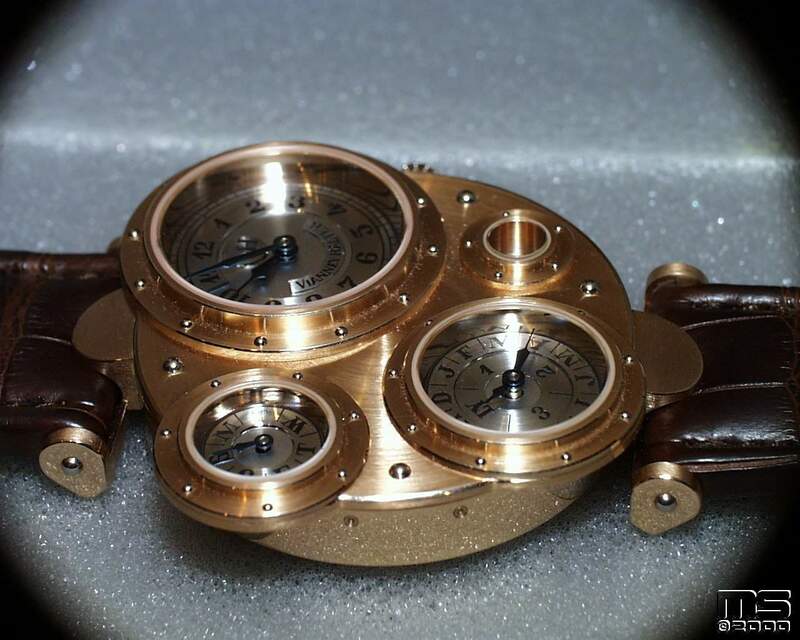 Without question, it is one of the most unique, intriguing mechanical watch designs that I have ever encountered. 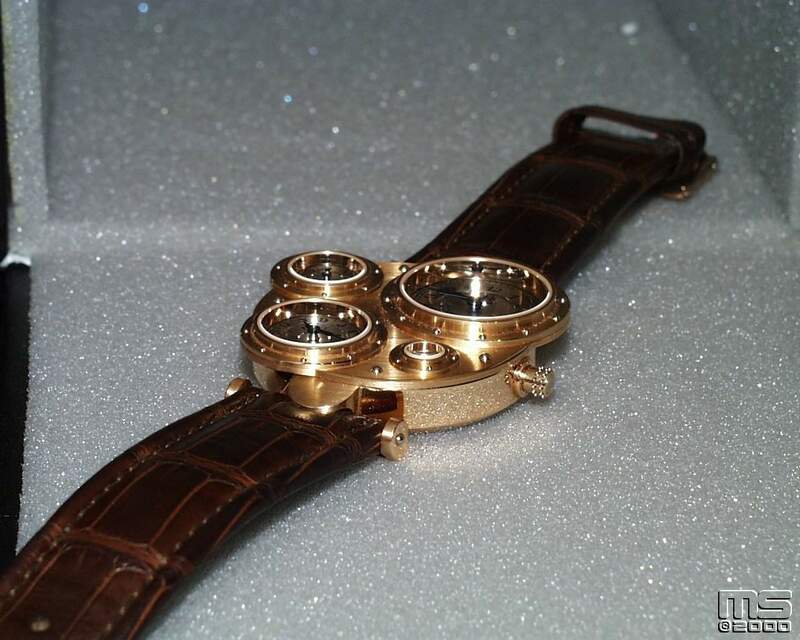 The watch clearly stands out in a crowd, both due to its size and its very unique and unconventional appearance. This is certainly not a design that will immediately appeal to a lot of people, but I personally like it. 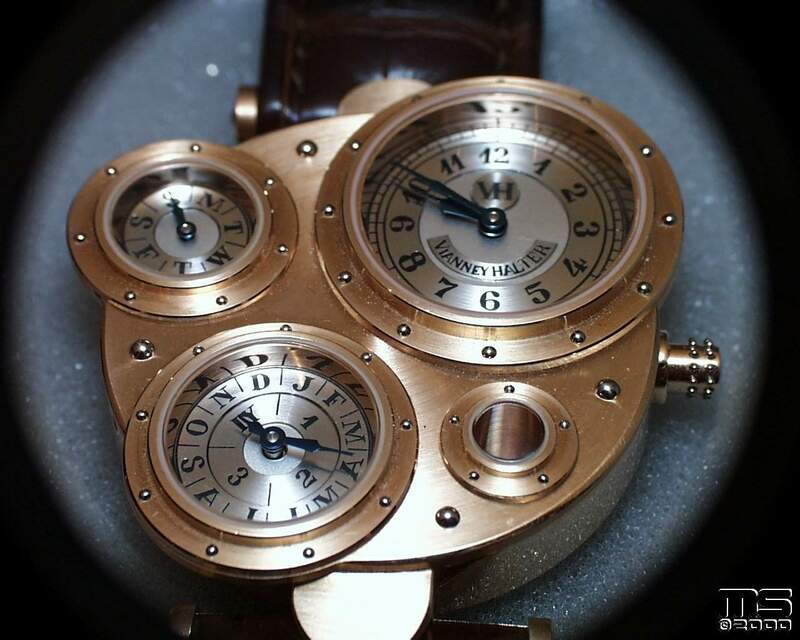 The Antiqua does not have a single dial, but rather has three separate dials (four if you count the date aperture). 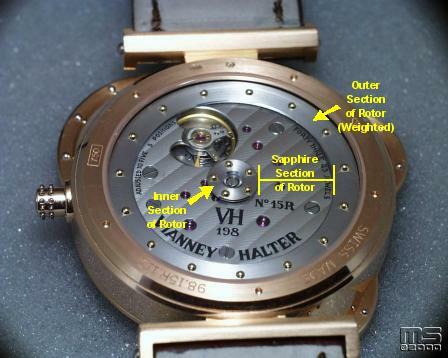 Viewing the case from the top, the time (hours and minutes, no seconds) is shown on the dial at what would be the 2:00 position on a conventional watch. The day of the week is shown on the dial at 10:00. 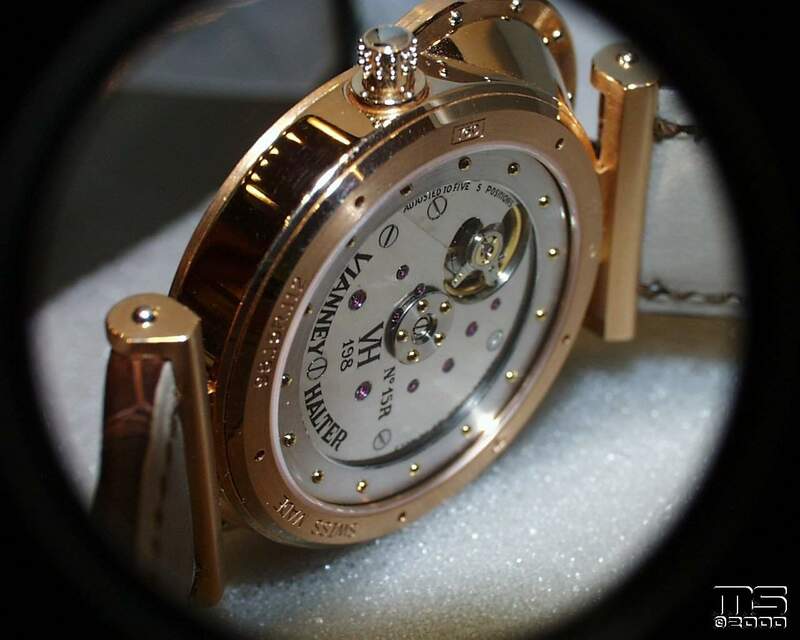 The month and leap year indicator are shown on the dial at 7:00, and the date is shown in a very deeply recessed aperture at roughly the 4:00 position. Each of the dials is metallic gray in color. 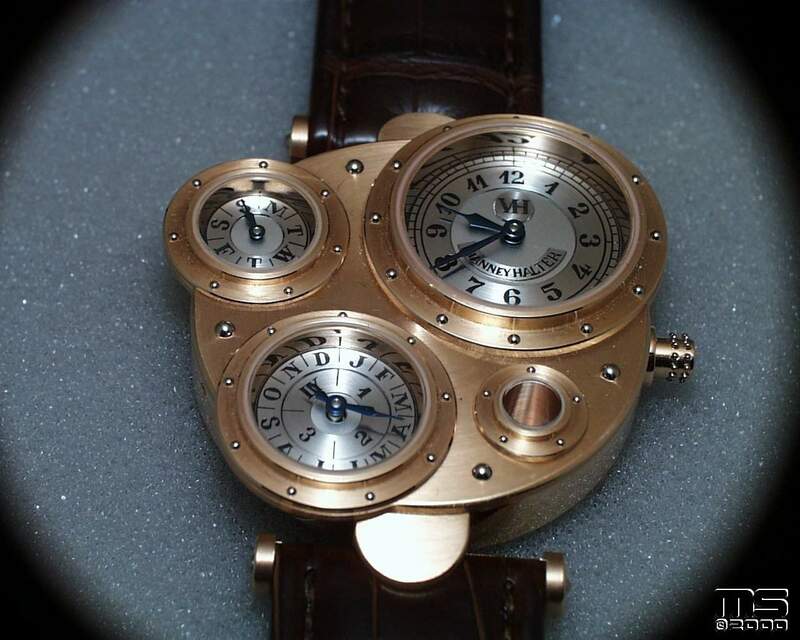 The rose gold Antiqua is a large, heavy watch. 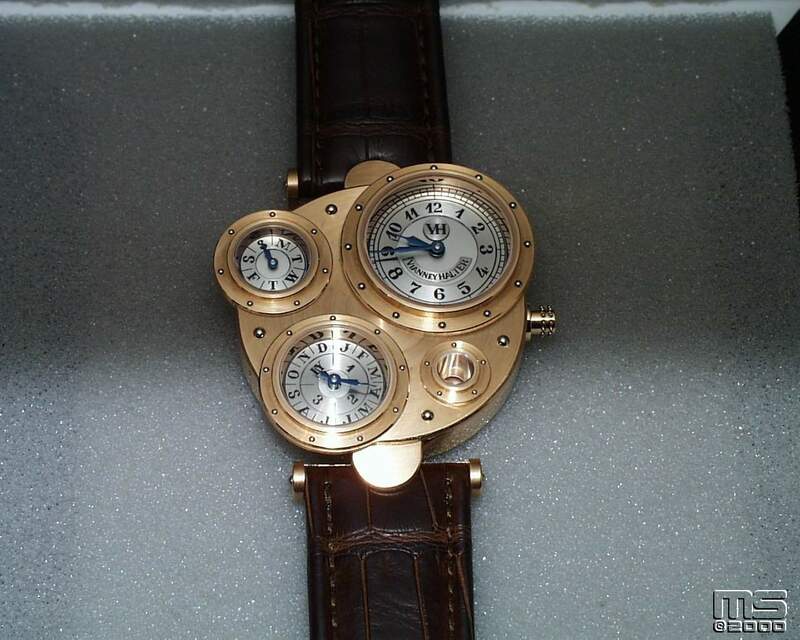 Measured across the case-back, it is approximately 40mm in diameter, but obviously looks larger from the front due to the placement of the individual dials on the case-front. 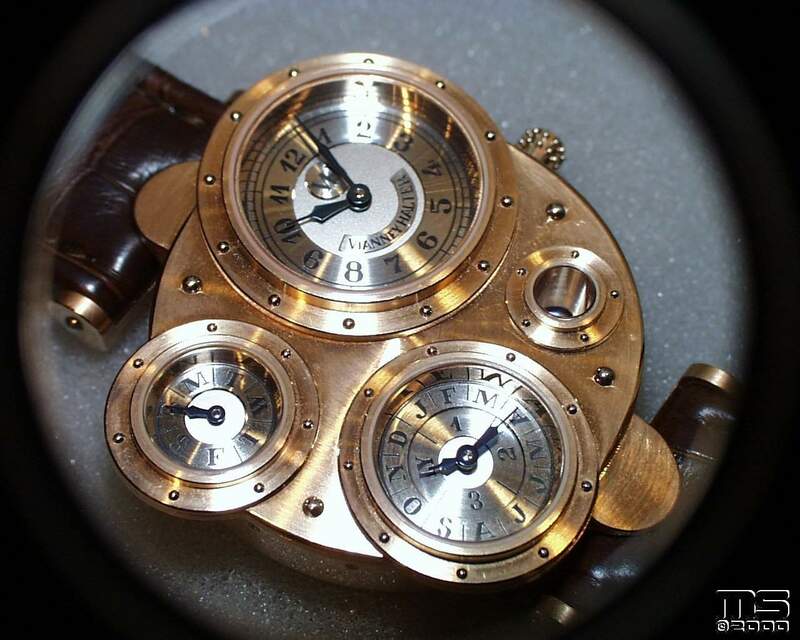 These dials extend beyond the periphery of the case itself. It is at least 14mm thick, although I did not actually measure it. 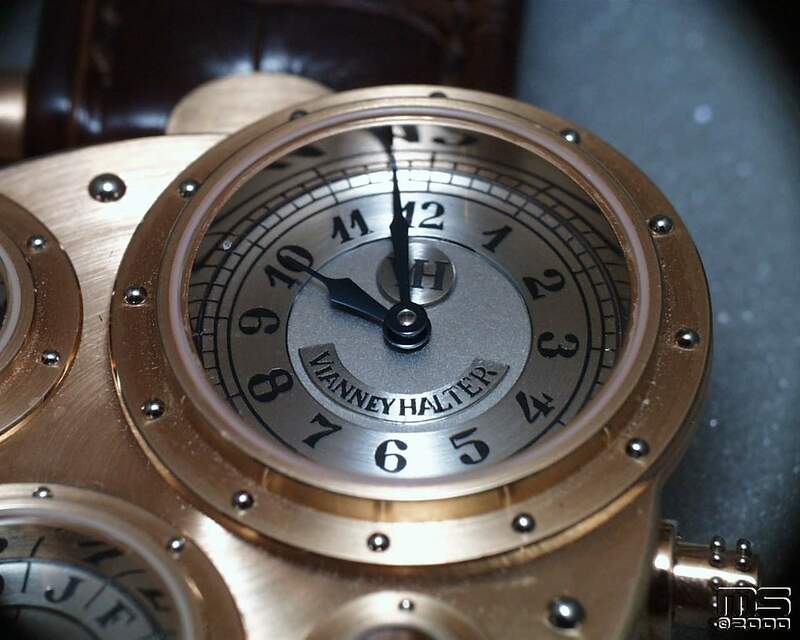 caseback. 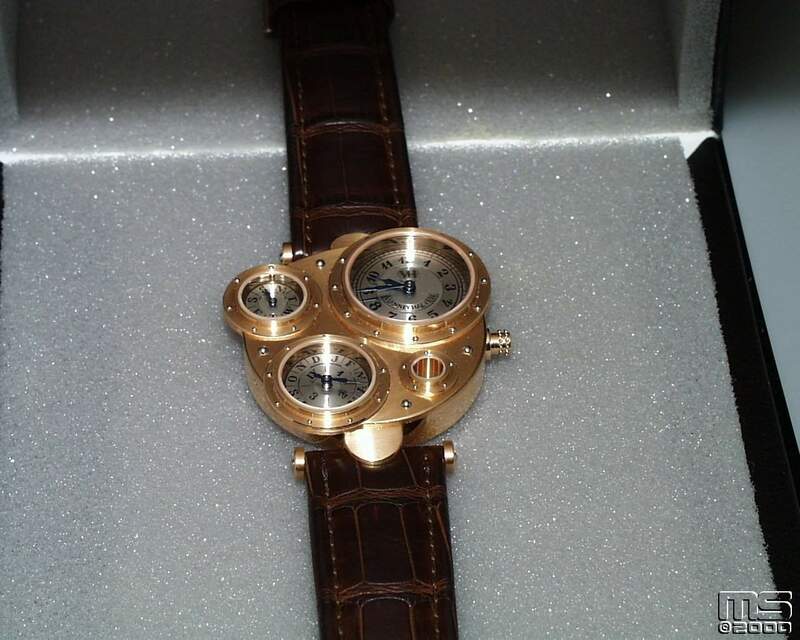 At first glance, this watch appears to be a manual wind, since no winding rotor is visible through the display back. 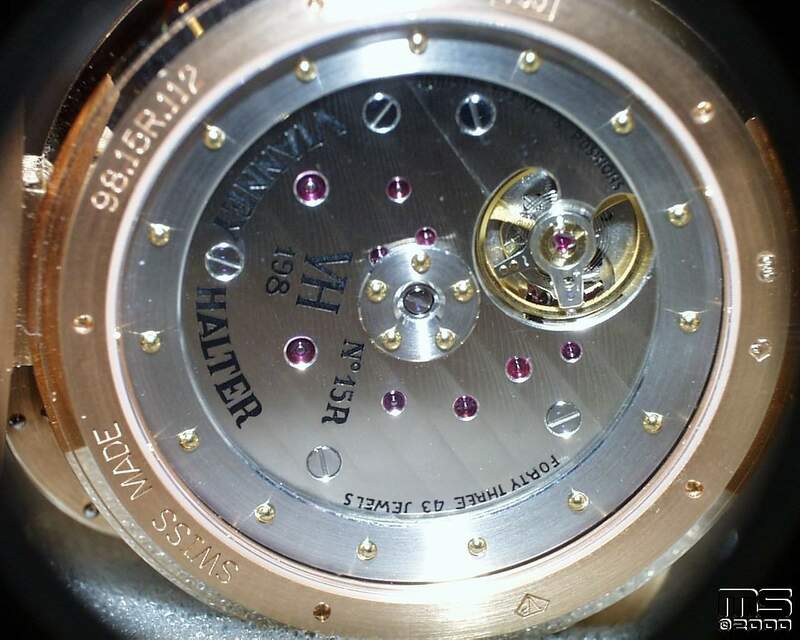 Instead, one simply sees the back plate of the movement, which obscures almost all of the movement itself except for the balance wheel. 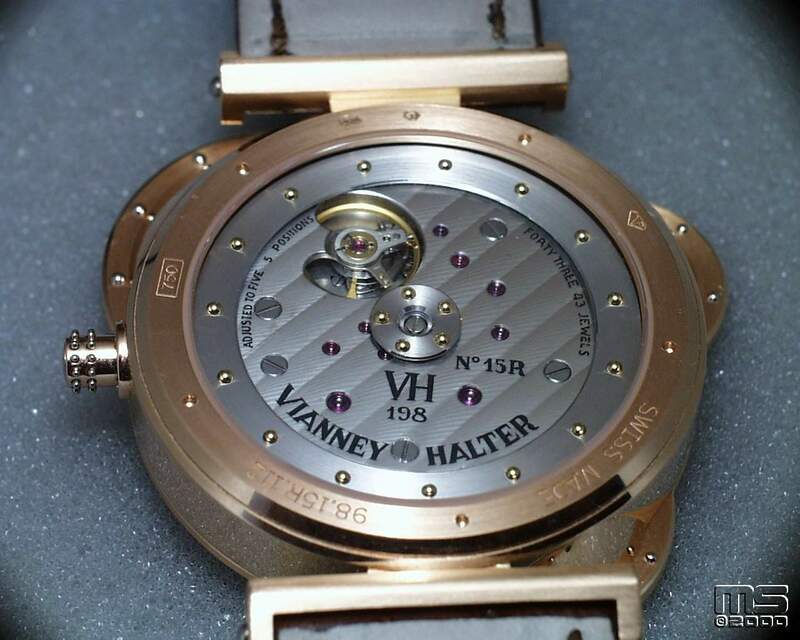 In actuality, however, the back plate is viewed through the winding rotor, which is a circular sapphire disk surrounded by an unevenly weighted white gold rim. 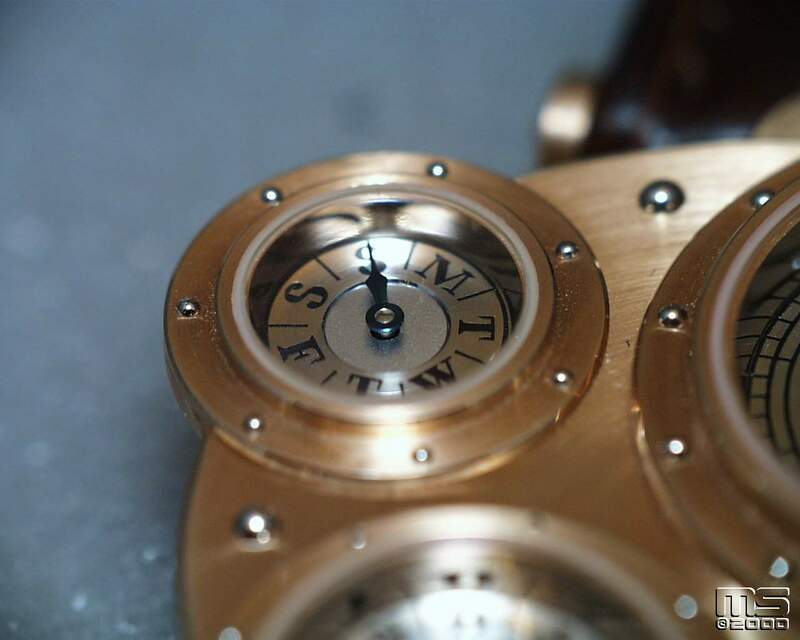 It’s the uneven weighting of this rim that causes rotation of the sapphire disk and thus winds the movement. In the pictures of the display back, this rim can be seen as a metal disk with 15 “rivets” just inside the case-back itself. 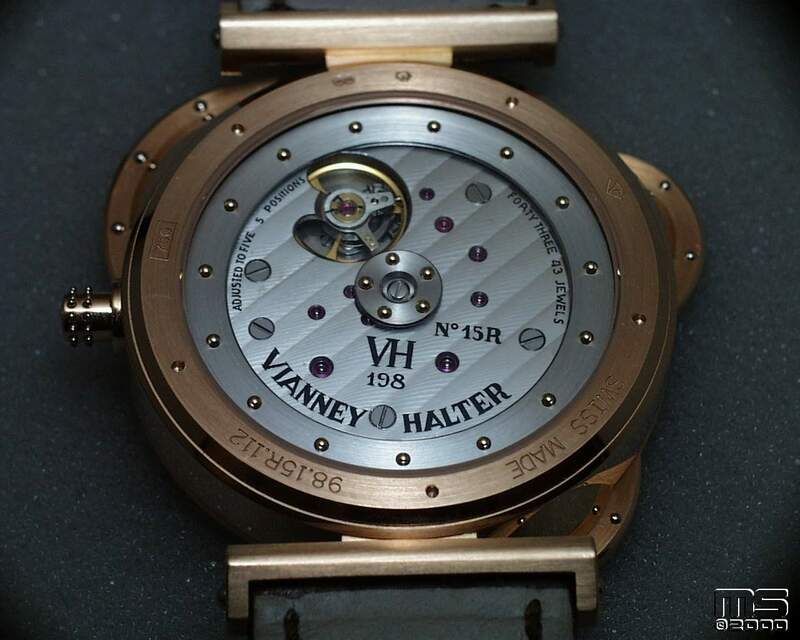 It is an impressive thing to see in person, since the metal rim seems to spin suspended in air when looking at the watch. It’s very difficult to describe properly, but the picture below will help. 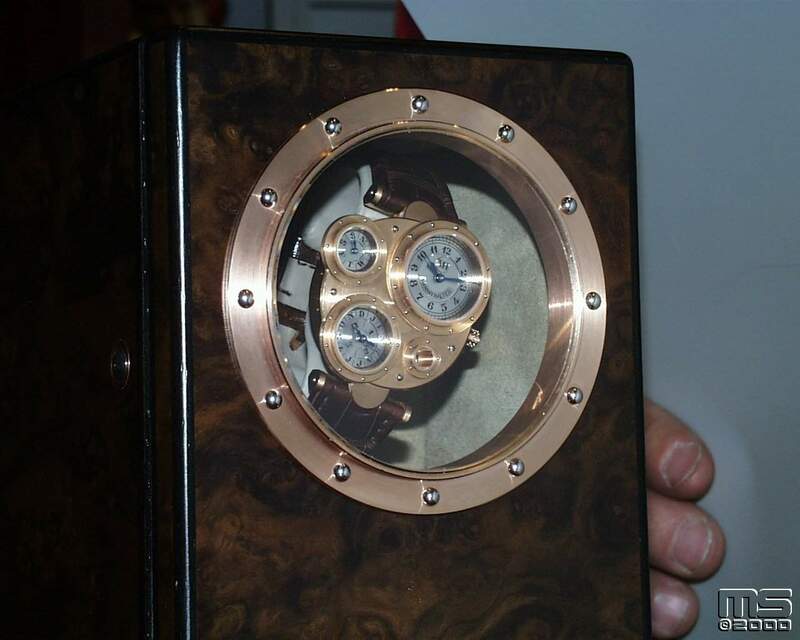 The watch comes with it’s own winding box, which is consistent in appearance with the watch itself. 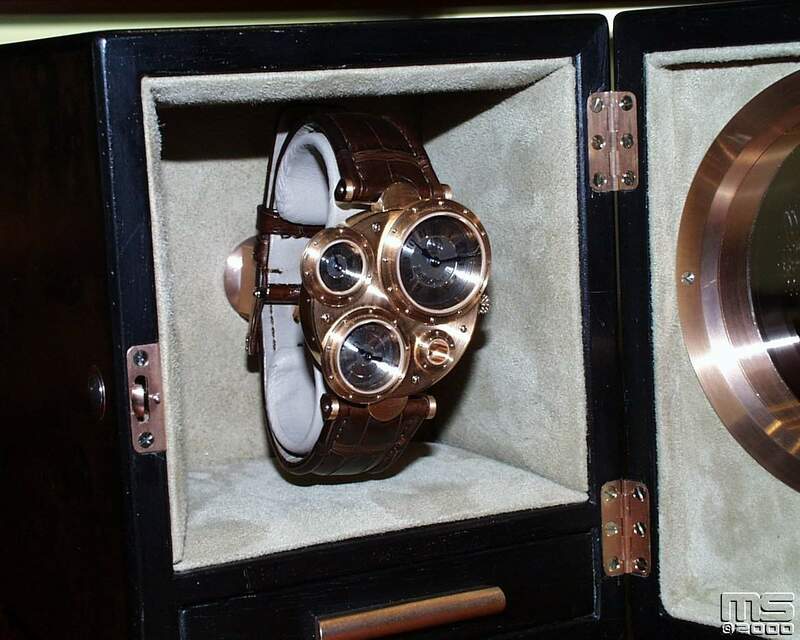 At the time the photographs were taken, the retail price of the watch was US$64,000. 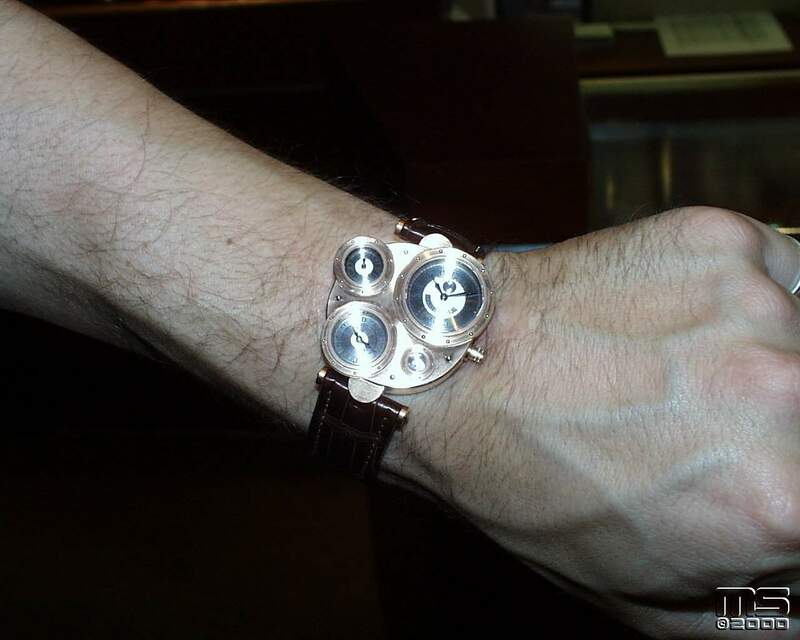 Note: Click HERE to read Richard Paige’s interview with Jeff Barnes, the designer of this watch. Click on the thumbnails below to see the full size (1280 x 1024 pixels) image.